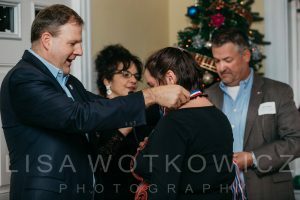 Governor Chris Sununu visited Lydia’s House of Hope in Somersworth, NH this past summer, learning about the 365-day transitional housing program for homeless women and children. He also discovered that he and Executive Director, Theresa Tozier, shared a Lebanese heritage. After some lighthearted conversation about their background, the Governor challenged Theresa to a Lebanese Cook-Off. Preparations began…the date was set, guests were invited and the ingredients were purchased for what would be an amazing night of food, fun and fellowship. 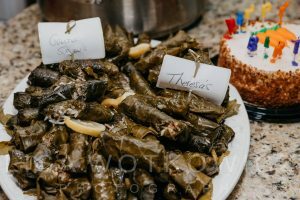 And while judges Amer and Michelle Fakhoury of Little Lebanon Quick to Go in Dover chose the Governor’s stuffed grape leaves as the best, the event was about much more than Lebanese food. Theresa shared the journey that led to the opening of Lydia’s House of Hope, 16 years of helping those in need. 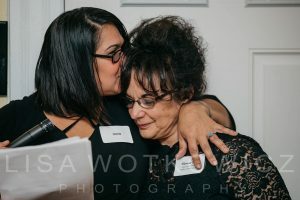 She also took a moment to express her gratitude to the community and thank those individuals and businesses who have impacted the home and the residents living at Lydia’s House of Hope. 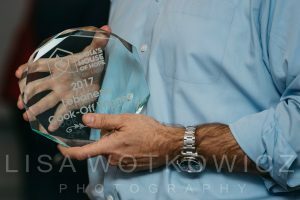 Special awards were given to Mary and Bill Schleyer (Planting a Seed), Luis and Mona Valdez (Changing Generations), Dale Sprague (Champion), David Tozier (Staying Grounded) and Peter and Maria Labrie (Driving Us Forward). 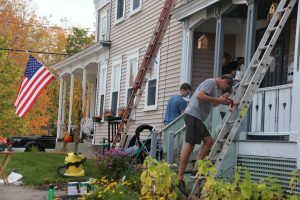 However, Theresa pointed out that the true stars were the residents of Lydia’s House of Hope. 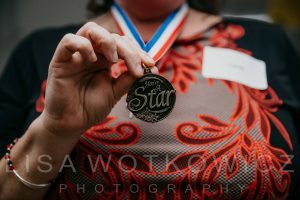 Each woman was presented a star medallion by the Governor who commended them on their journey in the program. Thank you to all who contributed to this wonderful evening in some way. Stay tuned for the next event to benefit Lydia’s House of Hope.